Your best friend, and the one that will truly impress you and others of the two legged variety. Hunting for a Dog? Pull this trigger! 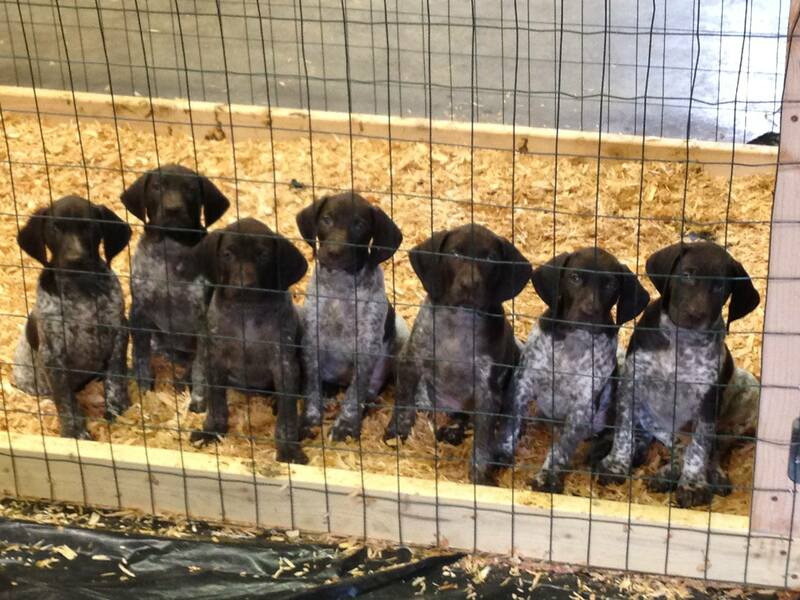 Current and future Shorthairs are posted and updated here. See the exciting news we have for the future! If you don't see a litter / timing that works for you, please get in touch. 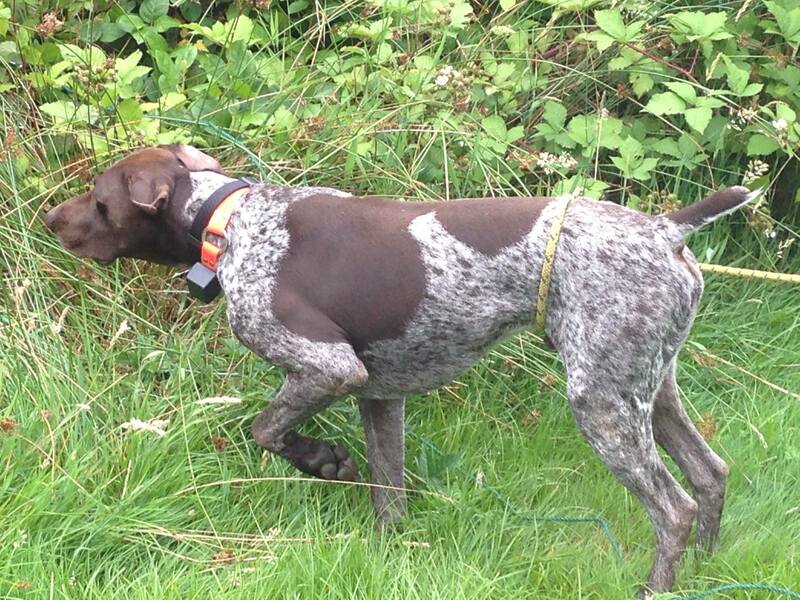 We are always thinking of hunting dogs and love talking GSP's! Also a breeder? Looking to perpetuate your GSP lines and add that extra natural ability? Tell us about your bloodlines and what you're trying to accomplish. Find out more about Laelaps' lineage, natural abilities and temperament. More about our bloodlines and breeding program. Ben has been handling and training hunting dogs for more than 20 years. When it's not hunting season, more often than not we are working dogs on live birds, scent tracking and retrieving drills. 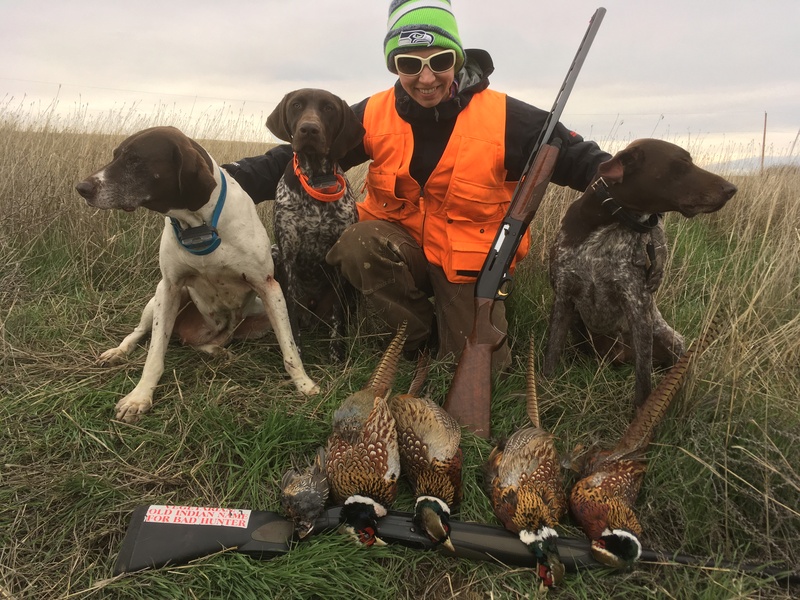 If you need help with polishing off your dogs hunting skills, brushing up for the season, or are interested in the benefits of a fully trained / started or finished bird dog, get in touch! We love to talk dogs, training and hunting. We can discuss what is right for you, what we specialize in, and whether or not it's the right fit. Ben and Alicia (that's us) are avid outdoors people and have a love for wild places and creatures. Most typically this passion is explored with our four legged friends. While great hunting dogs are purpose bred to be skilled trackers and retrievers, they transcend those roles by becoming partners in the hunt, fixtures in our homes, and companions in our hearts. The joy of hunting becomes as much about watching them perform and work with us, as it is about anything else. To see a great hunting dog pursue game, is to witness true passion, and purpose built performance. They can inspire us to find and do the same in our short lives. Tracking, Pointing, Retrieving, Swimming, Shed Hunting, Dog Sledding, Upland Birds, Waterfowl, Fur bearers, Large Game, Couch Cuddle Buddies and Fireside companions. They do it all, and they do it well. Ben has been hunting and fishing since diapers. Blessed to be a part of our natural world, and to be born into a supporting outdoors family; he has been pursuing wild birds and working with hunting dogs for over 25 years. Hunting the wild places of the Pacific NW in Oregon, Idaho and Washington. 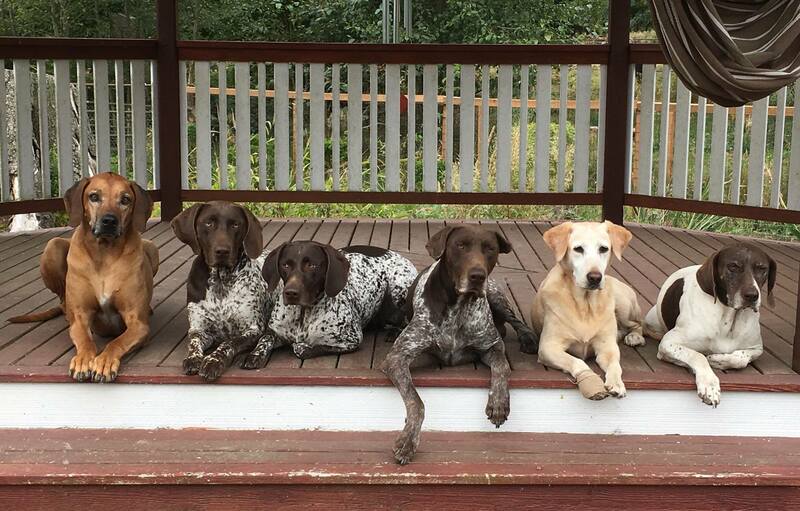 An exposure to Labs, Vizslas, Weimaraners, Pointers, Wire Hairs, Setters, Brittany's, Goldens, and all of the rest, we've found that German Shorthaired Pointers are the best of the best. Alicia grew up in the beautiful Puget Sound, with a passion for the water and the mountains, and catching big fish. She has been bird hunting for nearly 10 years now; and loves the dog work as much as any of us. With a great appreciation for the dogs efforts, they may just hunt harder for her than anyone else! Because of the places, creatures, company and dogs; wild bird hunting is our favorite of favorites. With all of the talents that these dogs possess and can excel at, ours are specifically bred to hunt the wild birds of Rugged North America. Their hard charging drive will beat the thick cover of a Pheasant draw, ousting roosters from the toughest brush. Their great endurance will range the toughest Chukar slopes for days on end. The ability and drive to track will find your lost game and fill your bags. Endless persistence will sniff out the smallest of quail and the loneliest of grouse. And an eagerness to please will have them retrieving ducks and geese next to the most seasoned waterfowl dogs. At the end of a good, hard day of 'work'; they will curl up next to you on the couch or at your feet by the fire, never mind the kids still tugging on their ears and tails. This is just a little of why we love these dogs. We love to talk hunting dogs, and all things about them! Have questions? We look forward to hearing from you.